When Elon Musk went before an international space conference in Mexico and announced his vision of a Mars transportation system built by his company SpaceX, attendees were enthralled by the technology—and despairing of the price tag, which at a bare minimum of $10 billion seemed out of reach for the private sector and the United States’ cash-strapped space agency. 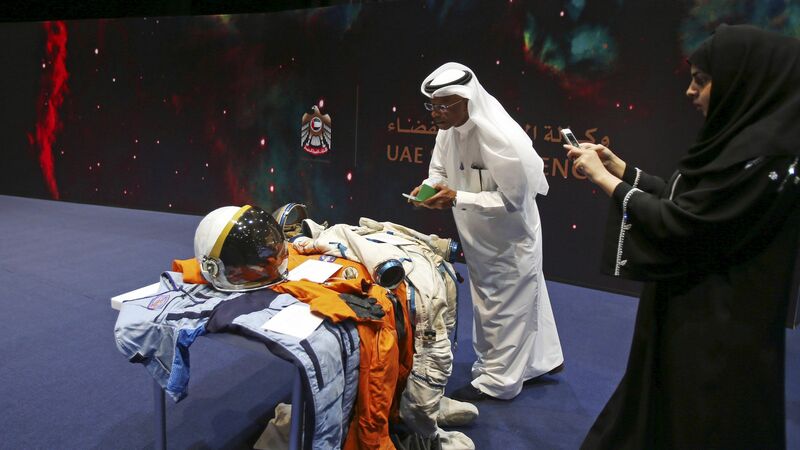 But more than one space enthusiast eyed the elaborately decorated exhibit booth of the United Arab Emirates space agency, founded in 2014, wondering whether it—and the UAE’s $500 billion sovereign wealth fund, swollen with petrodollars—could be the financiers needed for a Mars colony. The UAE already has plans to launch a Mars probe by 2021, and has been collaborating with space agencies in the United Kingdom and France to reach this goal. Al Maktoum sees the long-term project as a way to build his country’s capacity in high-tech endeavors; as with many oil-dependent economies, the goal is to diversify into new industrial sectors. A press release described a planned scientific team of Emiratis working with a global consortium of researchers to develop solutions to the array of challenges for humans seeking to live in the harsh Martian environment, including the production of food, water, power, and breathable air. Two things stood out immediately about the plan: First, it has a reasonable timeline, compared with SpaceX’s hyper-ambitious 2023 launch goal (though Musk conceded in his presentation that a feasible timetable for colonization would be between 40 and 100 years). Second, it aims at Mars at a time when other big space powers—Europe, China and Russia, and also perhaps NASA under new US president Donald Trump—are looking at a return to the Moon as a simpler, more cost-effective way to develop human spacefaring technology. Artist’s concept of a very green city on Mars. Some sort of a sweet 22nd century ride on Mars. Is that a gun turret overlooking a Martian city? A bird(?) shaped Martian city. For now, UAE residents will have to content themselves with a virtual reality experience of the Martian surface.